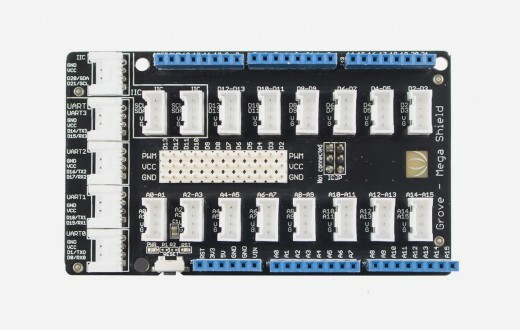 Mega Shield is a extension board for Arduino Mega and Google ADK. 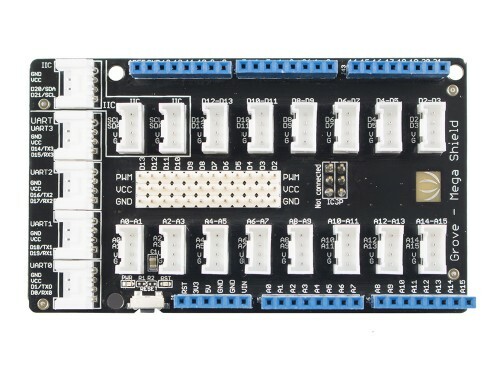 We have standardized all the connectors into 4 pins(Signal 1,Singal 2,VCC and GND) 2mm connectors and keep some of the 3pin(Signal, VCC and GND ) 2.54mm headers for Servo and Electronic Bricks , which simplify the wiring of electronics projects. 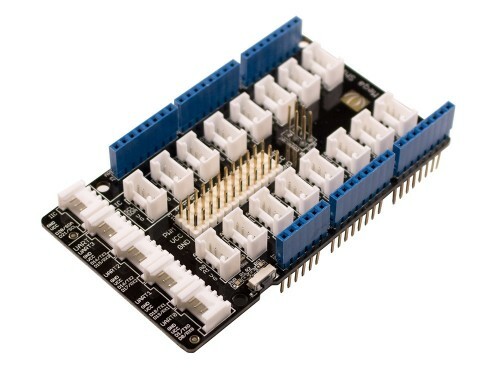 The 4pins buckled connectors also make the wiring situation more stable. 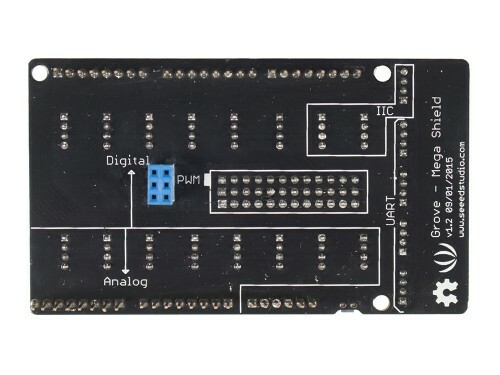 The Mega Shield includes Digital 0 - 21 and Analog 0 - 15; We abandon Digital 22 - 53 for easily installing Mega Shield with Xduino Mega/Google ADK.